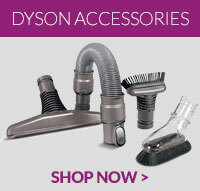 Dyson DC18 vacuum cleaner wheel fastener fixing kit. ..
A genuine part, this Dyson soleplate wheel kit is designed to fit with selected DC18 vacuum cleaner ..
A genuine part, this Dyson axle is designed to fit with selected DC18 vacuum cleaner models only. Id..